Filed to: r.i.p.u.Filed to: r.i.p.u. Nintendo, once drunk on the promise of touch screens and motion controls, has come to its senses. Four years later, the Japanese gaming giant is quietly taking its biggest mistake since the Virtual Boy off of life support. As Ars Technica learned, the very last Wii U will roll off the line later this week, never to be spoken of again. 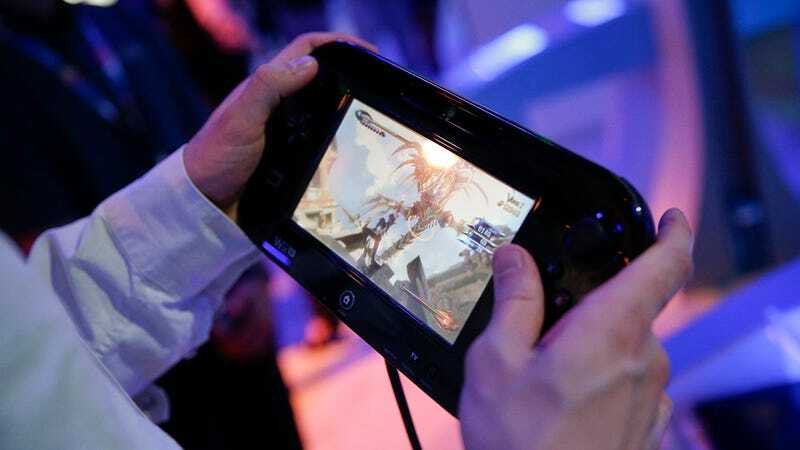 An awkward follow-up to the Wii, Nintendo’s Wii U perennially lagged in sales behind the Playstation 4 and XBox One, and now it’s being killed to make room for Nintendo’s sleek new semi-portable Switch, which was announced late last month. There won’t be any touchscreens. There won’t even by any CDs. The future is looking bright. The Wii U never quite found its place—or quite enough big-name titles from the series Nintendo leans heavily on to garner console sales. Nor did most games ever find intuitive ways to make use to the cumbersome Gamepad. Sure, there are still a few games slated to hit the console in the near future (including the much-anticipated Legend of Zelda: Breath of the Wild). But Nintendo finally came to its senses by killing not only this disappointing console, but the Wii brand name with it. Rest in peace, you strange little mistake. We’ll always have Super Smash Brothers.